Monckton Chambers houses an impressive administrative and public law team, which features many skilled juniors in addition to “a huge number of excellent QCs.” Clients say: “The barristers are very, very professional and will do everything they can to get the best out of cases.” The set remains at the forefront of public law litigation involving EU, procurement and competition law. Its “very broad expertise” also encompasses significant strengths in human rights, social welfare and community care challenges. Recently, the set has also been active in environmental judicial reviews, including challenging the government’s support of a third runway at Heathrow on behalf of a group of local authorities and defending the government’s new air quality plan in a challenge brought by an NGO, ClientEarth. The set is frequently instructed by government departments, regulators, local authorities and other public bodies to defend legislative provisions and controversial decisions. Brings his considerable EU law expertise to bear on public and administrative law disputes. He typically acts for corporate clients in challenges to regulatory decisions. He is also noted for his ability to handle judicial reviews invoking human rights arguments. Recent work: Acted for the Secretary of State in successfully defending R (Nouazli) v Secretary of State, a judicial review based on discrimination in human rights and EU law. Strong choice to represent claimants in judicial reviews challenging legislation, government policy and decisions of local authorities. He handles a wide array of public law disputes and recently he has been involved in claims arising out of healthcare provision, housing and asylum. Recent work: Represented the claimant child in a challenge against NHS England for failing to provide medical treatment where treatment is available for patients with similar conditions in different parts of England. Central to the case was whether a ‘postcode lottery’ for NHS treatment is lawful and the rationality of the decision-making. Focuses his administrative and public law practice on commercial and regulatory judicial reviews. He is particularly renowned for his expertise in claims that involve EU and competition law. He also handles public law cases concerning complex issues of national security and terrorism. Recent work: Acted for BT in its appeal against Ofcom’s decision to remove a licence condition from Sky’s licence requiring Sky to provide its premium sports channels on a wholesale basis at a regulated price. Broad depth of administrative and public law expertise, with a particular emphasis on EU law and regulatory matters. He is also adept at judicial reviews involving human rights law. Recently, he has been active in public law claims concerning constitutional law and infrastructure. Recent work: Represented the first interveners in a high-profile judicial review challenge to the government’s proposed notification of the UK’s intention to leave the EU in the absence of an Act of Parliament. Frequently appears in administrative and public law cases in the commercial and regulatory spheres. Recently, he has also been involved in numerous judicial reviews involving equality and human rights law. His practice also encompasses cases concerning environmental protection. Recent work: Advising the campaign group Women Against State Pension Inequality on the possibilities for bringing a public law challenge to the restrictions on state pensions for middle-aged women in the UK. Advocates for claimants in judicial reviews involving a crossover with human rights law and he is especially well-versed in children and migrants’ rights. He is also knowledgeable about information law and data protection. He is also capable of representing commercial claimants in regulatory challenges. Recent work: Acted on behalf of the claimants in a successful challenge against a local authority’s refusal to provide Children Act 1989 accommodation and support to a mother and two children. Capable of handling a wide range of administrative and public law matters including commercial, regulatory and human rights claims. He represents claimants and defendants in judicial reviews challenging decisions of central government, local authorities and regulators. He has particular experience in cases concerning competition, environmental regulation and procurement. Has considerable experience of bringing challenges against local and central government decisions. He is particularly committed to handling cases involving disabled claimants. He is especially active in challenges involving healthcare provision and housing allocation by local authorities. Recent work: Involved in a high-profile challenge to the decision of the defendant local authority to cut funding for short breaks for disabled children provided by voluntary organisations by 52%. Highly knowledgeable on the overlap between public and human rights law. His expertise in cases concerning national security and foreign affairs is of particular note. He receives instructions from both claimants and defendants, including government departments. He also frequently appears in public law challenges concerning commercial regulation. Recent work: Represented the claimant in a judicial review arising out of the claimant’s capture by British forces in Iraq and his subsequent rendition to a US military detention facility in Afghanistan, where he was held for over eight years. Involved in significant public and administrative law challenges on behalf of both claimants and defendants. Her broad public law experience encompasses commercial, regulatory and human rights law challenges. Recent work: Acted for the Secretary of State in response to ClientEarth’s high-profile challenge to the government’s new air quality plan on multiple EU and public law grounds. Predominantly defends public bodies, including government departments and commercial regulators, in judicial reviews. His broad substantive expertise includes human rights, competition and taxation. He has considerable experience in public law litigation arising out of international armed conflicts. Recent work: Represented the Ministry of Defence in claims brought under the Human Rights Act arising out of the UK’s involvement in the NATO operations in Kosovo in 1999. Frequently sought out by individual claimants and NGOs seeking to challenge government decisions through judicial review. His wide-ranging expertise encompasses administrative and public law claims invoking EU law, human rights and procedural grounds. Recent work: Represented the Campaign Against Arms Trade in a challenge against the UK government’s decision to continue selling armaments to Saudi Arabia for use in Yemen, which is alleged to be contrary to domestic and EU law on the export of arms. Her proficiency in regulatory and competition law is reflected by her appointment as standing counsel for the CAA. She is also capable when handling aviation matters with European and public law overlap. She also has significant expertise in the impact of Brexit on the industry. Recent work: Acted in her capacity as standing counsel to the CAA in a competition investigation regarding price fixing arrangements in relation to access to car parking facilities at East Midlands Airport. Monckton Chambers has a growing reputation for its abilities in civil liberties and human rights, with a concentration in areas including disability discrimination, abuse of authority and social and health care. Barristers here are instructed in notable cases before the Supreme Court, and increasingly before the ECHR. They acted in the Serdar Mohammed v Ministry of Defence case concerning the power of the UK military to detain individuals captured in Afghanistan. Client service: “Their clerking services are top-notch: pleasant and efficient.” David Hockney is the senior clerk. Highly regarded for his in-depth knowledge of EU law and particularly the ECHR, having previously worked at the European Commission on Human Rights. He advises throughout the UK and Europe on data and property protection, jurisdictional issues and extradition matters. Recent work: Acted in connected applications to the ECHR, Pichugin (1) v Russia and Pichugin (2) v Russia. The cases raised issues of enforcement of fair trial requirements in Russia. Esteemed human rights practitioner who is a familiar face in the Supreme Court. He regularly handles high-profile, sensitive cases on behalf of clients including NGOs, government departments and individuals. He has particular expertise in national security, freedom of expression and immigration cases. Recent work: Acted for the claimants in Liberty and others v GCHQ and others, the first case to be brought in the Investigatory Powers Tribunal following revelations by Edward Snowden of mass surveillance by the NSA and GCHQ. Respected practitioner with a broad human rights practice. He demonstrates particular insight into the rights of children and vulnerable adults, social housing law and matters concerning state retention of information. He is regularly instructed in major human rights cases at all levels of UK court as well as the ECHR and CJEU. Recent work: Appeared for the claimants in Tele2Sverige AB v Post-och telestyrelsen and Secretary of State for the Home Department v Watson, Brice, Lewis and others. The case concerned the provisions of the Data Retention and Investigatory Powers Act 2014. An up-and-coming civil liberties and human rights junior who has a significant practice at all levels of UK court and the ECHR. He represents NGOs and individuals as well as the Government in a range of matters with a particular specialism in national security. Recent work: Appeared in Serdar Mohammed v Ministry of Defence, a major test claim concerning the UK military’s power to detain individuals captured in Afghanistan. A junior with a growing human rights and civil liberties practice with particular experience in cases concerning data protection and privacy. Recent work: Appeared in R (on application of Campaign against the Arms Trade) v Secretary of State for Business, Innovation and Skills. The claimant NGO brought a challenge against the UK government decision to continue selling armaments to Saudi Arabia. Monckton Chambers houses an impressive selection of community care barristers, many of whom have acted in some of the leading social care cases of the past decade. Members receive instructions from individuals, NGOs, charities, private companies in the social care sector and public authorities. They have particular expertise in cases relating to disabled children and adults. Recent work highlights include Re: O, which concerned whether it was in the best interests of a 58-year-old woman with severe disabilities to receive life-sustaining treatment. Client service: “They host excellent seminars and work hard to build relationships. They are also very helpful when you have tricky deadlines coming up.” David Hockney is the senior clerk. Ian Wise QC Praised for his work representing claimants, he is experienced across an array of issues. His community care work is complemented by strength in local government, human rights and administrative and public law generally. He has regularly appeared in community care cases in the higher courts, including the Supreme Court. Recent work: Acted in a high-profile case in which a young woman with autism and mental health problems was sent from Swansea to Brighton as a result of the lack of appropriate provision for her in South Wales. Particularly well known for his work concerning the rights of disabled children and adults. He is a go-to barrister for community care work and has been instructed in cases all the way up to the Supreme Court. Recent work: Acted in a high-profile challenge to the decision of a defendant local authority to cut funding for short breaks for disabled children provided by voluntary organisations. Specialist in public and human rights law. He is an expert in work that relates to vulnerable and disabled children and adults, and is very experienced in immigration matters. He has also been involved in a number of cases challenging budget-related cuts to public services. Recent work: Acted in a successful challenge against a local authority’s refusal to provide Children Act 1989 accommodation and support to a mother and two children. Highly sought after by both private clients and regulators for advice on cartel follow-on damages, as well as market investigations and appeals to the CAT. He is particularly strong in the area of regulated utilities, as well as acting in cases that overlap between competition law and IP law. 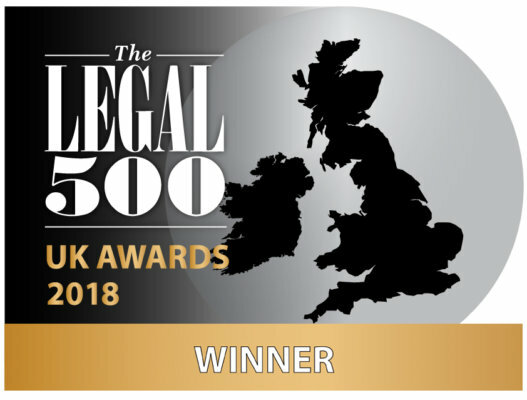 Boasts an outstanding competition litigation practice, representing both claimants and defendants in several of the highest-profile cases, appearing before both the UK and EU courts. He is highly esteemed for his work on abuse of dominance matters and cartels. Turner is particularly popular with clients from the healthcare sector. Recent work: He represented National Grid Electricity Transmission in a claim for damages on account of the power cables cartel. Sought after for a number of different competition law mandates, assisting claimants and defendants with damages claims, merger clearances, judicial reviews and regulatory issues. Recently he has advised on a number of high-profile cartel damages claims. Recent work: He advised Korean Air on the damages claim arising from the air cargo cartel. Has a leading competition litigation practice both at domestic and EU level, representing both claimants and defendants. He has a broad practice, representing clients in cartel follow-on claims, pricing investigations and FRAND licensing. Advises clients on a number of cartel litigation cases, as well as on commercial restrictions in the area of professional sport. He has a number of clients from the broadcasting and transport industry, and assists them with abuse of dominance and excessive pricing mandates. Acts for regulators, private clients and government departments in competition law and state aid matters before the UK and EU courts. He has a number of clients from the healthcare industry. Recent work: He acted for Ultra Finishing in the CMA’s investigation into resale price maintenance. He has advised a number of technology sector clients on cartel follow-on damages claims and the overlap between competition law and IP law matters. Recent work: He acted for Sky and TalkTalk in a challenge to an Ofcom decision that BT had overcharged competitors. Acts for clients in damages actions and competition law appeals, as well as having a growing international arbitration practice with a strong focus on competition law. Recent work: She represented the Law Society in allegations before the CAT of abuse of dominance during the provision of anti-money laundering training. Advises a number of clients from the communications, energy and financial sectors on damages claims and state aid matters. He also advises on the interface between IP and competition law. Acts for a number of regulators and government departments in abuse of dominance and cartel investigations, as well as state aid issues. She also advises SMEs and private sector clients on leniency applications and investigations. Recent work: She represented Prysmian in defence against standalone damages claims following a cartel in the power cable industry. Has a broad competition law practice, advising on merger clearance, antitrust enforcement and competition damages claims. Recent work: He acted for the CMA in an inquiry into BT’s acquisition of EE. Particularly popular with clients from the healthcare sector, as well as regulators, who she advises on competition law appeals. Recent work: She represented Flynn Pharma in an excessive pricing case brought by the CMA. Acts for both regulators and clients in challenges to decisions by the regulators, particularly in the areas of state aid and abuse of dominance. Recent work: He advised Pride Mobility Products on its defence against a follow-on class action concerning the prevention of the sale of mobility scooters below the recommended retail price. Offers a broad competition law practice, advising clients from the regulated sectors on mergers, market inquiries and state aid cases. He has a number of clients from the telecommunications industry. Recent work: He acted for Tesco in a claim for damages against Visa for excessively high interchange fees. Assists clients from the telecommunications, broadcasting and environmental sectors on competition compliance. He advises both public and private clients, as well as regulators and retailers. Recent work: Lask acted for Google in an abuse of dominance case in the online search area brought by Streetmap. Advises on abuse of dominance, restrictive agreements, cartel investigations and obtaining clearance for mergers. Recent work: He represented Intercontinental Exchange in a challenge to a CMA merger investigation that ordered Intercontinental Exchange to sell the recently acquired Trayport. Acts for private sector clients and enforcement agencies in regulatory investigations and merger clearance proceedings. Recent work: He represented a number of claimants in the claim for follow-on damages arising out of the air cargo cartel. Assists clients with merger control matters, as well as acting for clients who are subject to competition law investigations. Recent work: Advised TalkTalk before the CMA on a challenge to the merger between BT and EE. Represents private clients and regulators in competition damages claims, both at a UK level and before the European Commission. Acts in a number of cartel and abuse of dominance cases, particularly for clients from the energy sector. Recent work: She assisted Samsung with a FRAND litigation brought by Unwired Planet on the overlap between competition and IP law. Represents a number of public and private sector companies before the UK and EU authorities in a range of competition litigation cases, with a particular focus on price regulation. Recent work: Acted for Korean Air as defendants in the air cargo cartel follow-on damages litigation. Assists with state aid, utilities regulation and competition law matters. She represents clients in appeals, as well as standalone and follow-on damages claims. Recent work: Acted for Apple in an appeal against the European Commission’s decision that the Irish Revenue had been providing unlawful state aid. Acts in a number of competition law mandates before the EU Courts, particularly matters concerning the pharmaceutical sector. Recent work: Acted for Samsung as defendant in the Unwired Planet FRAND case about standard essential patents and abuse of dominance. Experienced silk with a widely admired procurement and construction practice. His specialist work on EU procurement rules has drawn particular praise from industry sources. He is becoming increasingly involved in PFI and DBFO project disputes. Recent work: Successfully acted for FP McCann in a High Court trial, in which the judge ruled that a £100 million Northern Irish civil engineering contract was awarded in breach of public procurement regulations. A particularly strong set when it comes to public procurement and EU information laws, that has an invaluable level of familiarity with the DPA, the FOIA and the EIR. It represents a broad spectrum of entities, including private individuals, commercial and non-governmental organisations, and the Information Commissioner. The defence of the Commissioner in the Savic cases, in which two claimants sought disclosure of the Attorney General’s advice on the UK’s role in the NATO Kosovo intervention, is just one recent highlight in this chambers’ impressive track record. Client service: “The clerks are effective, helpful and professional in their approach.” David Hockney is the senior clerk. Brings to bear experience gained over the course of a highly successful junior career, in which he gained significant expertise in a wide range of practice areas. His work in this area spans the full range of information law, and has a particular focus on cases with a public or EU law angle. He can often be seen representing the ICO, as well as data requesters. Recent work: Acted for the Home Secretary in a claim brought by two MPs, challenging the Data Retention and Investigatory Powers Act 2014 on EU and human rights grounds. Experienced junior with a long track record of appearing successfully on behalf of the Information Commissioner in both tiers of the Tribunal. She has recently argued cases dealing with issues arising from the application of the FOIA and the EIR. She often appears as sole counsel in sensitive and precedent-setting cases relating to public authorities. Recent work: Represented the Information Commissioner in cases requesting disclosure of the Attorney General’s legal advice, including those regarding drone strikes and the renewal of Trident. Appreciated by peers and clients alike for her adept handling of a range of cases in information law. She has further expertise in relation to competition and public law matters. She often appears before the High Court, Senior Courts and Information Tribunals, representing claimants and requesters in national security and police data cases. Recent work: Counselled Ciarán Arthurs in a request to the National Archives, Ministry of Defence and Information Commissioner for information on the 1971 McGurk’s Bar Bombing. Has an active appellate practice and handles a wide range of important education, public law and human rights matters. He is routinely instructed by national charities and has strong knowledge of equality law. His advice is regularly sought in connection with the Children and Families Act 2014 and he has been instructed on a number of cases relating to its provisions. Recent work: Acted in R(E) v Islington LBC, which concerned the education authority’s failure to provide education for the child of a deaf mother, the family having fled extreme domestic violence and been accommodated in a number of temporary addresses. This is set to be a leading case regarding instances where children do not receive the education to which they are entitled. A notable public law junior who acts for a number of prominent clients in the education sector. Much of his work is concerned with the educational needs of disabled children and those with SEN, as well as young people with learning difficulties and/or disabilities. Broach has expert knowledge of the Children and Families Act 2014, as well as particular expertise regarding the law on school transport and higher education Disabled Student Allowances. Recent work: Represented the respondent in an appeal before the Upper Tribunal where detailed guidance was given on the complex issue of the most suitable course of action to take when young persons lack or may lack capacity to bring appeals themselves. Monckton’s expertise in EU law enables it to offer comprehensive advice on both domestic and international environment matters. It represents the Environment Agency and Defra with regularity, and is also instructed by private clients, campaign organisations and local authorities. Cases span such regulated affairs as air quality, fisheries and pesticides. Members recently advised Heathrow Airport in challenges to the development of a third runway on the basis of noise pollution. Client service: The clerking team is headed by David Hockney. Recognised as an expert for cases relating to the EU regulation of, and access to, environmental information. His client base includes campaign groups, individuals, corporations, government bodies and regulators. Recent work: Acted for the Welsh government and the United Kingdom in infraction proceedings brought by the EU concerning non-compliance with EU air quality laws. Has an extremely strong reputation for his work on behalf of NGOs, action groups and commercial clients. He is an expert on issues such as pollution control, the protection of natural habitats and climate change. Recent work: Provided an opinion publicly for Greenpeace and Ecotricity concerning the state aid implications of the government’s plan to authorise a new power plant at Hinkley Point. 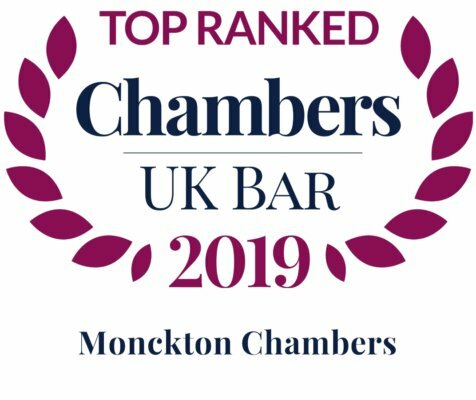 Monckton Chambers has a market-leading practice in the field of European law, with noteworthy expertise in the areas of taxation, employment and environmental law, as well as EU free movement questions. 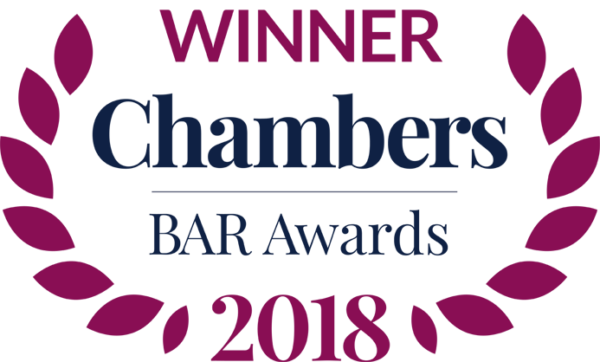 Commentators describe the barristers as “consistently high-quality, responsive and client-focused.” Members here are a popular choice for private sector companies, government departments, NGOs and EU institutions. Recent high-profile cases include tobacco plain packaging, Clientearth v DEFRA and the Miller case. Client service: One interviewee enthuses that “the clerks have impressed me with their attention to detail and capacity to deal with a broad array of ‘backroom’ issues in an efficient and unflappable manner.” Efficiency is a recurring theme, with sources highlighting the “efficient and user-friendly clerks” and stating that “the clerking was great throughout. It is very efficient and responsive.” David Hockney leads the team. Leading EU law litigator, representing both the UK government and multinational companies. He is highly regarded for his knowledge of EU tax law, freedom of movement and jurisdictional issues. Recent work: Acted in R (ENSCO & Ors) v HM Treasury, a challenge to a new tax regime brought under EU free movement principles. Advises the UK government and private companies on a broad range of EU law issues, including free trade, sanctions and financial matters. Recent work: He represented the group ‘The People’s Challenge’ in a judicial review of the proposal to leave the EU without an Act of Parliament. Has a strong focus on European law issues in the pharmaceutical and agricultural sectors. Recent work: He advised the MHRA on Teva’s claim that a product similar to its product could not be granted a marketing authorisation under the hybrid-abridged procedure but that a full authorisation procedure was required. Has an outstanding EU law competition practice and is particularly popular with clients from the telecommunications sector. He regularly advises on Francovich claims as well as cases concerning state aid mandates. A leading EU lawyer with a particular focus on public procurement and VAT questions, as well as freedom of movement issues. Moser acts for both government bodies and corporate clients. Recent work: He advised BAT on the defence against a fine for allegedly facilitating the smuggling of tobacco. This raised issues of EU tax law and free movement. Has a strong non-competition EU law focus. He has recently advised on a number of tobacco-related cases. He also assists with cases concerning minimum pricing, discrimination and environmental law issues. Recent work: Represented the Secretary of State for Health in its defence against a challenge to the plain packaging regulations. Offers a broad EU law practice, advising government bodies, NGOs and private companies on environmental law, discrimination and child abduction issues. Recent work: Advised DEFRA on a judicial review brought by Clientearth concerning the government’s failure to comply with EU emission limits for nitrogen dioxide. Has a leading EU antitrust practice, and also acts in cases concerning telecommunications, environmental issues and financial services questions. Recent work: He represented British Airways in an appeal against a fine for breaching EU competition rules. Recent silk who acts for government bodies, private business and the EC on a range of European, regulatory and public matters. Advises on EU free movement, environmental law, IP and European human rights for both government bodies and private companies. She also represents a number of NGOs. Recent work: She acted for Von Eicken, a German tobacco manufacturer, in a challenge to the EU’s Second Tobacco Directive. Regularly appears in the higher domestic and EU courts in significant national security, EU freedom of movement and human rights cases. His stellar reputation is reflected by his position on the Attorney General’s A Panel of Counsel. Well versed in complex local authority disputes, including matters relating to the duty to support children and families in need. He regularly acts for claimants and has deep knowledge of social care law. He has appeared in the Supreme Court and the Court of Appeal in a number of important cases concerning local authorities and young asylum seekers. Recent work: Acted in R (HA) v London Borough of Ealing, a challenge to Ealing’s policy of requiring a certain period of residence before allowing applicants to go on its housing register. Monckton Chambers tackles the largest procurement disputes to reach the courts. The set provides suppliers, contracting authorities and utilities with a range of services including advice during the tender process and representation in highly complex procurement-related litigation and mediation. It has a wide selection of able practitioners who have expertise in the aviation, construction and infrastructure, defence, energy and engineering sectors, among others. Public procurement work makes up a large proportion of the practice of this greatly respected silk. Having been at the forefront of this area from its inception, he is an advocate revered by both claimants and defendants faced with high-value and important procurement challenges. Recent work: Acted for FP McCann in a High Court case which ruled that a £100 million Northern Irish road contract was awarded in breach of public procurement regulations. Highly regarded for his experience in procurement, commercial agent cases and EU law. A significant portion of his work arises from instructions received from the government. His advisory and litigation practice is extensive and covers a wide range of contracting authorities and private and public undertakings. Recent work: Acted for the successful intervener in Airwave Solutions v Home Secretary (Everything Everywhere intervening). This was an automatic suspension matter, which concerned the award of a £1.2 billion emergency services telecoms contract to Everything Everywhere. An admired adviser and litigator who handles procurement cases as part of her wider European law practice. She is regularly instructed by top law firms and the government. Recent work: Acted as lead counsel for the MoD in defeating a challenge to the award of a contract for aircraft for the MoD. Previously a civil servant in the Department for Transport, this well-respected barrister has a public procurement practice that covers transport, utilities and health. He has worked on many significant and high-profile challenges. His practice includes both litigation and advisory work, and he acts for both challengers and utilities/contracting authorities. Recent work: Acted for Central and North West London NHS Foundation Trust in a case arising out of a mini competition relating to a framework agreement for the provision of hard facilities management services. A go-to barrister for both public sector and utilities work who has been instructed in a number of leading procurement cases. He has a client base consisting of government departments and other public bodies. Recent work: Acted in Virgin Care Services Limited v NHS Guilford and Waverley CCG and Others, a case concerning the procurement of children’s community health services in Surrey. An able barrister with a far-reaching client list that takes in both contracting authorities and tenderers. As well as having a flourishing practice, she also contributes pieces on public procurement to various law publications. Recent work: Acted on behalf of Counted4 in relation to its challenge of a procurement process carried out by Sunderland City Council for the provision of substance misuse services. A knowledgeable junior who handles contentious and non-contentious matters, and has been involved in a significant percentage of the leading procurement cases that have gone to trial in recent years. A talented junior who has experience in competition law, public procurement and utilities regulation. She has worked on a number of important cases, often unled. Regularly involved in high-value procurement disputes, acting for bidders, contracting parties and authorities. Recent work: Acted in Premaitha Health Limited v Cardiff & Vale University Health Board, Illumina Cambridge Limited (Interested Party), a case relating to the procurement of prenatal testing for chromosomal abnormalities. Client service: “I like the clerking team very much: they are extremely responsive.” David Hockney is the senior clerk at the set. He is renowned for his excellent knowledge of regulatory frameworks and the broader sporting environment, as well as his robust advocacy style and strong client service. He is frequently instructed in sport matters involving competition law aspects. A noteworthy junior who receives instructions across a variety of sports, including football, rugby, motor racing and cycling. She is particularly well known for acting in contractual disputes, often involving broadcasting and rights issues. Recent work: Acted for Tony Pulis in the defence of a claim brought by Crystal Palace Football Club arising from the circumstances of his departure from the club in 2014. Monckton Chambers houses a large bench of juniors and silks capable of handling indirect tax matters. It has unrivalled expertise in tax issues linked to EU, human rights and public law, and is well-versed in VAT, duty and customs cases. Members act for both the taxpayer and HMRC at all levels of the UK court system, in addition to the European Court of Justice. Sources describe the set as “the first port of call” for indirect tax matters. A leader in the field of indirect tax who is well known for her expertise in VAT matters in particular. She regularly takes substantial and high-value instructions from HMRC and from taxpayers. She has a wealth of experience handling matters involving landfill tax and challenges to the aggregates levy, and has an established charities tax practice. Recent work: Represented Magherafelt District Council in the test case for all local authorities in the UK concerning the question of whether the provision of sports, leisure and recreational facilities at discounted rates falls within the scope of VAT. Highly respected for his expertise in EU-related tax matters in the areas of both VAT and customs, he regularly appears before the ECJ. He is trusted with sophisticated and substantial instructions from HMRC and corporations. He also has long-standing experience of handling MTIC fraud cases. He has appeared in a number of high-profile test cases. Recent work: Acted for the taxpayer in British American Tobacco v HMRC, a test case and the first of its kind under new legislation concerning alleged facilitation of tobacco smuggling. Well known for his VAT practice in particular. He is often trusted by HMRC with the most complex and challenging of VAT cases, and has a wealth of experience appearing before the Supreme Court and the ECJ. He is noted for his knowledge of the ‘special legal regime concept’ applicable to public bodies in VAT matters. Recent work: Represented HMRC in a claim brought by Rank Group in the Supreme Court and previously the Court of Appeal, ECJ and the Upper Tribunal. Highly regarded for his vast expertise in all areas of indirect tax. He is most frequently retained by HMRC to assist in complex litigation and advisory matters. He also has broad experience of acting for private clients across an array of sectors including financial services, insurance and retail. He is well versed in indirect tax disputes involving EU law. Recent work: Acted for HMRC in a claim brought by Oak Tree Motor Homes regarding the VAT treatment of motor homes. A leading junior in indirect tax matters. She specialises in representing taxpayers while simultaneously holding a position on the Treasury A-Panel. She regularly appears before the Supreme Court, the Court of Appeal and the ECJ. She is particularly noted for her expertise in customs duty cases. Recent work: Acted as junior counsel for the taxpayer in N. Brown Group v HMRC, a case concerning partial exemption. An indirect tax specialist who is singled out for his vast experience of representing clients before the ECJ. He is particularly well known for his command of complex VAT matters. He has acted in several leading ECJ cases regarding the exemption for special investment funds. Recent work: Acted for the UK Government in The English Bridge Union v HMRC, a case concerning the question of what constitutes a sport for tax purposes and whether bridge falls within that definition. Can call upon broad indirect tax expertise spanning VAT, excise duties and customs duties, among other matters. He continues to act regularly for HMRC, handling complex and high-profile test cases particularly in the field of VAT. He has experience acting at all levels of the domestic court system and the ECJ. Recent work: Acted for the Revenue in Leeds City Council v HMRC, a test case challenging whether the UK’s 3-year cap on claims for repayment of overpaid VAT is compatible with EU law. A renowned set praised for its handling of electronic communications matters in particular. Its esteemed members have experience in leading telecoms cases and are particularly noted for their competition work and their expertise in handling European law. They have handled key cases for blue-chip operators and have broken new ground in matters relating to premium rate phone lines. Members have appeared in significant cases such as BT v Ofcom, which looked at the pay-TV market, and Unwired Planet and Ericsson v Samsung, a matter concerning patent infringement of mobile communications technology. Client service: “The clerks are very responsive and good at finding people to get back to us. They are also willing to look at different ways of approaching fees.” David Hockney is the senior clerk. 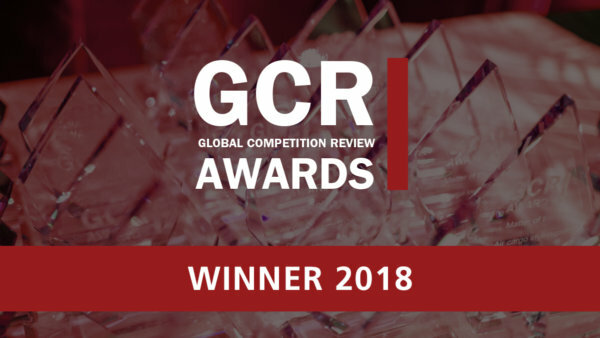 Boasts a standout reputation in competition law, and regularly acts for both telecommunications regulatory bodies and operators. He is recognised for his work with Ofcom and noted for his impressive appearances in both the UK and European courts. Recent work: Acted for Ofcom upholding the complaints of Vodafone and Gamma against BT for charging too much for telephone numbers that are ported away from BT. A leading market authority on competition law who brings his expertise to bear in telecoms cases for both public and private entities. He regularly leads matters in the ECJ and is renowned for his very energetic style of advocacy. Recent work: Acted for BT in a Competition Appeal Tribunal case concerning Ofcom’s decision to remove the Wholesale Must Offer (WMO) Obligation in relation to Sky Sports channels. Multi-talented silk endorsed as a counsel of choice for high-end mobile operators faced with telecoms regulatory litigation. He is particularly noted for the quality of his regulatory work. Recent work: Acted as lead counsel for Samsung when it was sued in the High Court for patent infringement on mobile telecommunications technology. Samsung counterclaimed that Ericsson and Unwired Planet had engaged in unlawful anti-competitive practices. A lawyer known for his considerable experience in the telecoms industry. Solicitors consider his background in economics to be a key advantage when he provides regulatory advice. Recent work: Acted for Sky in a significant pay-TV case with Ofcom and BT regarding access to sports rights and channels. Acts as joint head of chambers and is counsel of choice for a variety of mobile and fixed-line telecoms operators. He draws upon his expertise in EU and public law to provide a comprehensive assessment of telecoms matters for clients. Recent work: Acted for one of the major mobile telephone operators in respect of the BT and EE merger inquiry before the CMA. Regularly handles telecoms-related competition and regulatory disputes, and is adept at both data protection and environment law. He is well regarded and noted for his efficient management of cases. Recent work: Advised the Secretary of State for the Home Department regarding the EU’s telecommunications data retention regime. Has a wealth of experience in cases pertaining to the interplay between IP and telecoms. Sources are highly complimentary of her affable manner and approachability. Recent work: Acted in three judicial review cases for LIME BVI (Cable and Wireless) challenging decisions of the telecoms regulator regarding margin squeeze and dominance in the provision of international connectivity services. A diligent junior with a strong awareness of commercial considerations. Clients appreciate her personable manner and comprehensive approach to cases. Recent work: Advised BT on regulatory strategy and appeal options regarding the extent of Ofcom’s legal powers regarding the separation of Openreach from BT. Well versed at handling telecoms cases before the CAT and Court of Appeal. He is highly endorsed for his strong work ethic and hands-on approach to cases. Recent work: Handled a significant case acting for TalkTalk. The matter concerned the CMA and Ofcom’s price setting for dark fibre services. Telecoms regulation remains a key area of expertise for a lawyer who also has strong suits in public law generally and utilities regulation in particular. Sources identify his determination to win and his clear commercial focus as key strengths. Recent work: Handled disputes on behalf of Community Energy Solutions regarding BT’s method of charging for moving telephone line entry points. Enjoys a strong track record in Ofcom appeals and cases in front of the CAT and Administrative Court. His command of EU and competition law makes him a popular choice for operators embroiled in regulatory disputes. Recent work: Acted for Vodafone, Sky and TalkTalk in a mobile porting case regarding BT’s high prices for number porting services. Offers expertise in regulatory, commercial and contractual telecoms issues. He is noted particularly for his work for major operators before the CAT, and he regularly acts for both public bodies and private clients. Recent work: Represented TalkTalk in an appeal against Ofcom as an intervener between BT and a number of other operators. A rising star with substantial experience in this sector who has a background in economics. He brings commercial insight to complex or technical cases. Recent work: Advised EE concerning Ofcom’s decision to increase annual licence fees for the use of mobile spectrum.